Recently teaser poster of "Ti and Ti" was released on social media, the film's teaser poster featuring lead actor Pushkar Jog seated between two ladies. 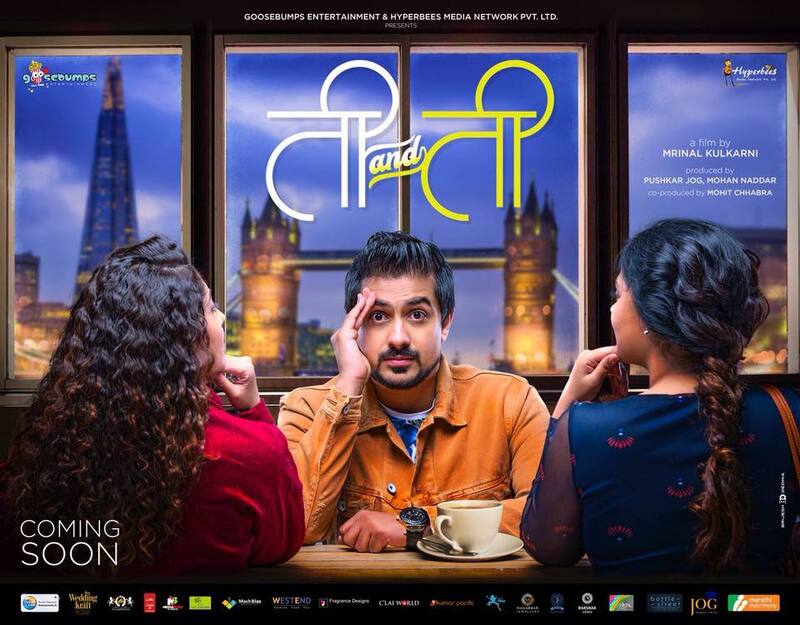 In the poster, Pushkar appears to be in a tight spot seated with the two women over a cup of coffee and a backdrop of the London bridge. By looking at poster it seems that there is love triangle situation, the upcoming film is directed by Mrinal Kulkarni and story of the film is written by Virajas Kulkarni, where as Pushkar Jog is not only a lead actor in the film but he is also one of the producer other than Mohan Naddar. 'Ti and Ti' is expected to hit theatre screens soon.